North Haven, CT – O.F. Mossberg & Sons, Inc., America’s oldest family-owned and operated firearms manufacturer, is pleased to announce their “Buy a 590M, Get a Free 10-Round Magazine” promotion. This limited time offer is for qualifying purchases on 590M Mag-Fed firearms (SKU# 50205/50206/50208) made between 12/1/18 and 03/31/19 with redemption postmarked or submitted online by 04/30/19. The value of the free 10-round 590M Magazine is $84. Promotion Details: Offers are limited to stock on hand; no rain checks are available. Offer is only valid for 590M Mag-Fed Shotguns or Pump-Action Firearm. Qualifying purchases must be made between 12/1/18 and 03/31/19, and redemption must be made by 04/30/19 to qualify. Offer may not be combined with any other sale, promotion, discount, code, coupon and/or offer. Promotions have no cash value. Offer cannot be sold, transferred, or otherwise bartered. Some qualifying models may not be available in all jurisdictions. This promotion is subject to any and all applicable laws, including but not limited to federal, state, and local laws. Void where prohibited, taxed or otherwise restricted. Returns of any portion of the qualifying purchase will require equal forfeiture of offer or amount equal to offer. 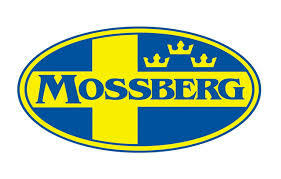 Mossberg reserves the right to end or modify any promotion at any time. Other restrictions may apply. Offer valid in United States only. Further, CT residents are not eligible for this promotion. All submissions subject to review and approval by O.F. Mossberg & Sons, Inc. If submission is incomplete or unclear, additional proof of purchase may be requested. Please allow 4-6 weeks for delivery from time of confirmation email. TO REDEEM BY MAIL: Send your name and mailing address to: Mossberg 590M Offer; 7 Grasso Avenue; North Haven, CT; 06473-9844. You MUST include your store sales receipt and gun box end panel label which displays the product serial number and SKU number as your proof of purchase. TO REDEEM ONLINE: please visit http://offers.mossberg.com/590moffer. No other manufacturer can deliver the durability, innovation and total-round capacity of the 590M with Mossberg’s proven pump-action platform combined with a proprietary, double-stack shotgun magazine design. For more information on the 590M Mag-Fed firearms and this limited “Buy a 590M, Get a Free 10-Round Magazine” promotion, please visit www.mossberg.com.